Matthew Beattie-Callahan is another senior at 'Iolani School in Honolulu, Hawaii. He also participated in outreach for his final project for AP Biology. He wrote this blog post describing his experience being the teachers, not the students, to promote environmental sustainability in the next, next generation. Dietrich Bonhoeffer was an anti-Nazi dissident during World War II and was executed by the Gestapo for his involvement in plans to assassinate Adolf Hitler. A Lutheran Pastor, Bonhoeffer said, “The ultimate test of a moral society is the kind of world that it leaves to its children.” Since World War II, the world has made great strides in working to promote peace and stability as well as prevent the types of atrocities that were committed by the Nazis. Yet, now the world is faced with a greatly different problem: a rapidly disintegrating environment; and this time children are not only passive receivers of the problems of earlier generations, but also the potential solution to these problems. Often it seems that education and lifestyle changes on an individual level are as necessary and effective, if not more so, at promoting environmental sustainability as sweeping governmental legislation can be. This is the fundamental reason that youth are such an essential part of the solution to our environmental problems; it is in the younger generations that new lifestyle practices and social norms can and must be established to promote environmental sustainability. 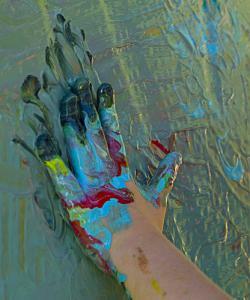 The first step to accomplishing those goals is environmental education. This past February, a group of my AP Biology classmates and I had the opportunity to engage in this environmental education; however this time we weren’t the students, we were the teachers. We made the short walk over to Ala Wai elementary school to meet and teach a group of extremely energetic and bright fifth graders on a range of environmental topics: bacteria, water chemistry, weather, big animals, and small animals. Each of the topics was related to the neighboring Ala Wai Canal and the ecosystem of the area. We hoped that by teaching the fifth graders more about their environment and the fragility of ecosystems they would be more aware of their own actions and impact on the environment. I think we were all a little nervous about trying to keep the fifth graders interested and engaged during our presentations. However, it quickly became apparent that the problem was instead trying to answer all of their questions in the time we had been allotted. The students were fascinated by everything from plankton under a microscope, to crabs they could hold, to the colorful bacterial colonies of a water sample from the Ala Wai. Our experiences at Ala Wai Elementary show that environmental education can be fun, enlightening, and valuable. Hopefully, after seeing the bacterial samples from the Ala Wai, the animals that live in the canal and understanding the nature of the ecosystem, the students will be more aware and conscious in their efforts to maintain a clean environment both at school and at home. Furthermore, there is always the hope that by exposing students to biology and other science fields early in their education, they will develop a love for science and go on to make even greater contributions to environmental science and sustainability. It was an amazing experience to be able to teach the Ala Wai Elementary students, but my greatest takeaway from the experience was hearing the shrieks of laughter as the students held a crab or helped assemble a weather station and the knowledge that we had hopefully created a group of students who are more aware of their environment. Welcome to the land of tomorrow ... today! What does the future hold in store, Arthur?Courtesy MamyjomarashOh, hey there, Buzzketeers! Do you know what day it is today? That's right: it's Wednesday! It's also July 11, and twenty-nine years ago today, one JGordon burst screaming from his mother's thoracic cavity, covered in gore and bits of sternum. He would go on to grow a beard, to grow taller and weaker than any other member of his family, and to learn about childbirth from the movie Alien. And also to use the Internet. Who could have predicted any of that? Sure, my mother and father consulted the stars, the entrails of guinea pigs, and their massive probability crunching computer (which runs on star dust and rodent entrails, coincidentally), and they predicted some things correctly. Their son would never have a tail. Their son would have an older brother. Their son would likely be male, if he wasn't female. Their son would accidentally staple a Kleenex to his finger in 7th grade. But how could they have guessed the rest? Could anyone have? Yes! 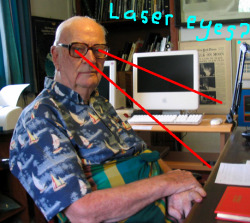 Sit back and let your mind-holes be cracked wide open by black and white footage of Arthur C. Clarke taking a break from writing about ape frenzies to tell us about how things would be. Now that we can compare "would be" with "are be," it's pretty uncanny. Man oh man! If only Sir Arthur was around today to tell me what the next 29 years have in store! Super strong robotic arms, maybe? A couple weeks ago, I introduced Buzzketers to scenario-based decision-making (SBDM) as a way to plan for an unknowable future. You can check out that original post here. ORIENT: Identify the client, issue, and participants. EXPLORE: Conduct pre-workshop participant interviews to identify both the important certain and uncertain factors/drivers. SYNTHESIZE: Participants develop different, but equally plausible scenarios. They focus not on what should be, but on what could be. They discuss implications and effects of each scenario and identify possible early indicators. SBDM is messy because people are messy. We each have unique personalities, experiences, and values that cause us to think about the world around us differently than everyone else. That’s pretty cool! But you can see why asking a group of individuals to collaborate on a thought experiment might be troublesome. It’s kind of like trying to get all the balls in the cart after recess. Order from chaos. The Workshop’s goal was to have a discussion between three groups of people that don’t often have the opportunity to talk deeply about climate change: public professionals, business people, and academicians. Talk about a group with different personalities, experiences, and values! Asking scientists and engineers to make educated guesses about the future is tricky. Asking decisionmakers to talk about what could be instead of what should be is tricky. Why? Because doing so goes against how they usually go about their business. Scientists and engineers are trained to study a world that can be measured and repeated. Decisionmakers are trained to make their best judgments for the future and rule out inferior possibilities. In asking them to make educated guesses about a possible future, even if it’s not a future for which they would hope, SBDM asks both groups to go outside their comfort zone. The beauty of SBDM is that it takes messy people outside their comfort zone to create a masterpiece of a resource that will help plan for an unknowable future. In preparing to write this post, I was investigating ways in which we as a society plan for an unknowable future. Naturally, I began with psychics (wouldn’t you?). 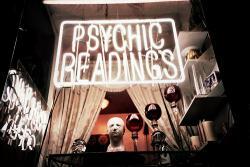 Did you know that there is an American Association of Psychics? Or that right here in St. Paul you can pay $150.00 for your “One Year Future Forecast” or a “Five Year Future Overview” at a place called Astrology by MoonRabbit? And my personal favorite, did you know that in 1995 it broke that the U.S. government had spent millions of dollars on psychic research? You’ll be happy to know public officials and decisionmakers (following the lead of businesses) have developed a better method to plan for an unknowable future called scenario-based decision-making. That sounds fancy and all, but it really begins with a simple tool: imagination. Before you get all up in arms saying, “KelsiDayle, imagination isn’t that much better than psychics,” let me correct you: Yes, it is. At least it can be. What were you thinking? That decisionmakers willy nilly imagined any old plan for the future?! No. Not when their using SBDM (my fingers are lazy, so I’ve created my own acronym for the much longer scenario-based decision-making… you know, what we’re talking about here). The key to SBDM is plausibility (believability, credibility, or having an appearance of truth or reason). Participants of varied expertise get together and hash out the facts they know and make a list of the important unknowns. Then they use their imagination to project (kind of like predict, but based on present facts) multiple future scenarios that are different but equally plausible given what they know and what they expect might happen to the unknowns. Finally, they create plans for how they might respond to each scenario. Ta-da! Alright, it’s more complicated than that, but I don’t want to overwhelm you too much… at least not in one blog post, so I’m going to write a series of posts. Up next, I’ll share about my own experience with SBDM, the city of St. Paul, and the Science Museum of Minnesota. A psychic told me it’s going to be great. What role should scientists have in politics? What role do scientists should have in the political process. Do they have a responsibility to advocate and champion their research to the public by becoming involved in the political process? What impact would this have on their research being viewed as impartial and objective? The Theater of Public Policy seeks to explore these issues with an in-depth interview with representatives from Broad Impacts, a U of M Science Policy group. After discussing these ideas, an improvisational comedy team will breathe life into these ideas; bringing to life the ideas, concepts and memes from the conversation. Through thought provoking conversation and inspired humor, the policy issue will be illuminated. The show takes place at 6:30pm on Thursday, Oct. 6th at Huge Theater, 3037 South Lyndale Avenue, Minneapolis and costs $5. The Theater of Public Policy is supported by InCommons and the Citizens League. Mt. 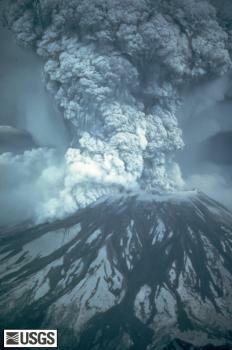 St. Helens erupts in 1980: Yellowstone's supervolcano has erupted with one thousand times the power of the blast pictured here.Courtesy USGS/Cascades Volcano ObservatoryThe gigantic volcano seething under Yellowstone National Park could be ready to erupt with the force of a thousand Mt. St. Helenses! Large parts of the U.S. could be buried under ash and toxic gas! This story has popped up in a couple of places recently, including National Geographic's website and, more sensationally, the UK's Daily Mail. Shifts in the floor of Yellowstone's caldera indicate that magma may be pooling below the surface, a phenomenon that might be the very earliest stages of an eruption. Then again, it's difficult to predict volcanic eruptions with much accuracy because there's no good way to take measurements of phenomena happening so far below the earth's surface. Incidentally, the contrast in tone between the two stories makes them an interesting case study in science reporting: The Daily Mail plays up the possible risk and horrific consequences of an eruption, while National Geographic is much more matter-of-fact about the remoteness of that possibility. Which do you think makes better reading? ocean micro-plastic: These samples were collected from the surface water of the North Pacific Ocean by the SUPER expedition in 2008.Courtesy C-MOREWho hasn’t heard that plastic in the ocean is trouble? Plastic has been found clogging the stomachs of dead albatross and other ocean birds. Plastic ropes and traps have entangled marine life, causing more death. As a long-lasting chemical, plastic floating in the ocean provides long-distance rafts that may move aggressive alien marine life to new areas. Plastic may provide a “sticky” surface where toxins can accumulate, becoming a concentrated source of poison for marine consumers. A "Great Pacific Garbage Patch" has been reported to be an "island the size of Texas" floating in the North Pacific Ocean...but is this really true? Continue reading to find out! Yep, plastic in the ocean is bad news; so let’s put scientific energy into studying and solving the problem. manta trawl: The trawl is hoisted above the stern deck of the RV Kilo Moana.Courtesy C-MOREIn 2008 C-MORE, the Center for Microbial Oceanography: Research & Education headquartered at the University of Hawai`i, with assistance from the Algalita Marine Research Foundation, embarked on an oceanographic expedition aboard the RV Kilo Moana, which means "oceanographer" in Hawaiian. 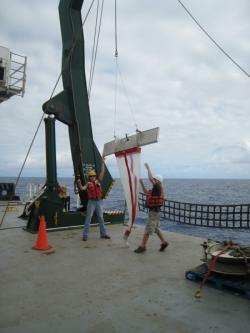 The goal of the expedition, dubbed SUPER (Survey of Underwater Plastic and Ecosystem Response Cruise), was to measure the amount of micro-plastic in the ocean. 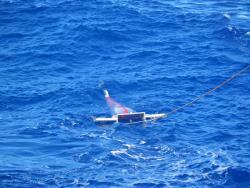 In addition, oceanographers took samples to study microbes and seawater chemistry associated with the ocean plastic. The Kilo Moana sailed right through the area known as the “Great Pacific Garbage Patch,” between Hawai`i and California. Early results: there was no garbage patch/island. Once in a while something like a barnacle-covered plastic buoy would float past the ship, but mostly the ocean looked really clean and empty of any kind of marine debris. manta trawl: The net is being pulled slowly through the ocean's surface water.Courtesy C-MOREBut wait! Scientists looked closer and were amazed. Every single one of the more than a dozen manta trawls, filtering the surface seawater for an hour and a half each, brought up pieces of micro-plastic! Some were as small as 0.2 millimeter, mixed among zooplankton! Other expeditions have reported similar results (for example, Scripps Institution of Oceanography's 2009 SEAPLEX expedition and Sea Education Association's North Atlantic Expedition 2010): no Texas-size garbage patches, but plenty of plastic marine debris to worry about. The data seem to show that most of the plastic is in the form of small pieces spread throughout upper levels of water at some locations around the world's ocean. In these areas, the ocean is like a dilute soup of plastic. 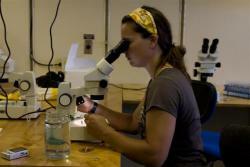 Dr. White: examining the results of a manta towCourtesy C-MOREC-MORE researcher Dr. Angelicque (Angel) White, assistant professor of oceanography at Oregon State University (OSU) was a scientist on board the SUPER expedition. In recent interviews, (for example: the Corvallis Gazette-Times and Seadiscovery.com) Dr. White cautions us to view the complex plastic marine debris problem accurately. Furthermore, new results will soon be published by C-MORE about microbial diversity and activity on plastic pieces. Plastic in the ocean is trouble. How can you be part of the solution? Don't do the crime if you can't do... the experiments. Aiding and abetting science: Prison inmates have been enlisted to help forest ecologist Nalini Nadkarni in her research.Courtesy Nalini Nadkarni Since 2004, scientist Nalini Nadkarni has enlisted prisoners to aid in her scientific research. Don’t worry, it’s not cruel and usual punishment. The inmates aren’t being used as guinea pigs to test new drugs or try out some new method of electroshock therapy. Instead, the incarcerated offenders are part of Nadkarni’s research team. Nadkarni holds a PhD in Forest Ecology and is on the faculty at Evergreen State College in Olympia, Washington. 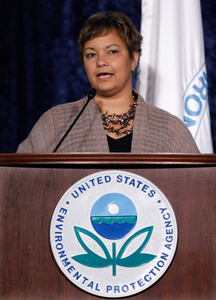 The National Science Foundation (NSF) has funded some of her inmate-aided research. 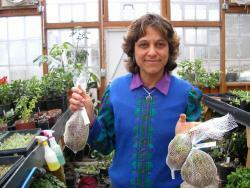 Dr. Nalini NadkarniCourtesy Nalini Nadkarni research projects, offenders at the Stafford Creek Corrections Center in Aberdeen, Washington, helped plant seeds of rare prairie plants then recorded data during the plants growth stages. The prisoners actually enjoyed helping out with the research. Not only did it give them a sense of doing something worthwhile, it connects them to something that’s sorely lacking in the old Graybar Hotel: nature. 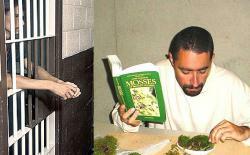 For another project called Moss-in-Prisons (no Thor, your hero Randy has been picked up by the Tennessee Titans), Nadkarni recruited inmates at the Cedar Creek Corrections Center in Littlerock, Washington, to help discover improved ways of cultivating slow-growing mosses. "I need help from people who have long periods of time available to observe and measure the growing mosses; access to extensive space to lay out flats of plants; and fresh minds to put forward innovative solutions," Nadkarni said. If successful, the research could help replace ecologically important mosses that have been stripped from old-growth forests in the Pacific Northwest, a sometimes illegal tactic that seems to be a favorite among some horticulturists. In many cases, helping with the research isn’t just a way for inmates to pass time behind the brick walls and barbed wire of their confinement. It’s also a way to inspire them. One former inmate, who had worked with Nadkarni, enrolled in a Ph.D. program in microbiology after his release from Cedar Creek, and went on to give a presentation of the research he had done there at the annual meeting of the Ecological Society of America. Apparently, Dr. Nadkarni is on to something, and its importance is not lost on those still behind bars. "It teaches me something," said one prisoner involved with Nadkarni’s prairie plant study. "It makes me work with people and it's just a new skill that I've learned."